Ships tomorrow if you order in the next 22 hours 18 minutes. As we age, it seems joint pain becomes less and less avoidable. And when we're in pain, we have a hard time enjoying the things we used to. 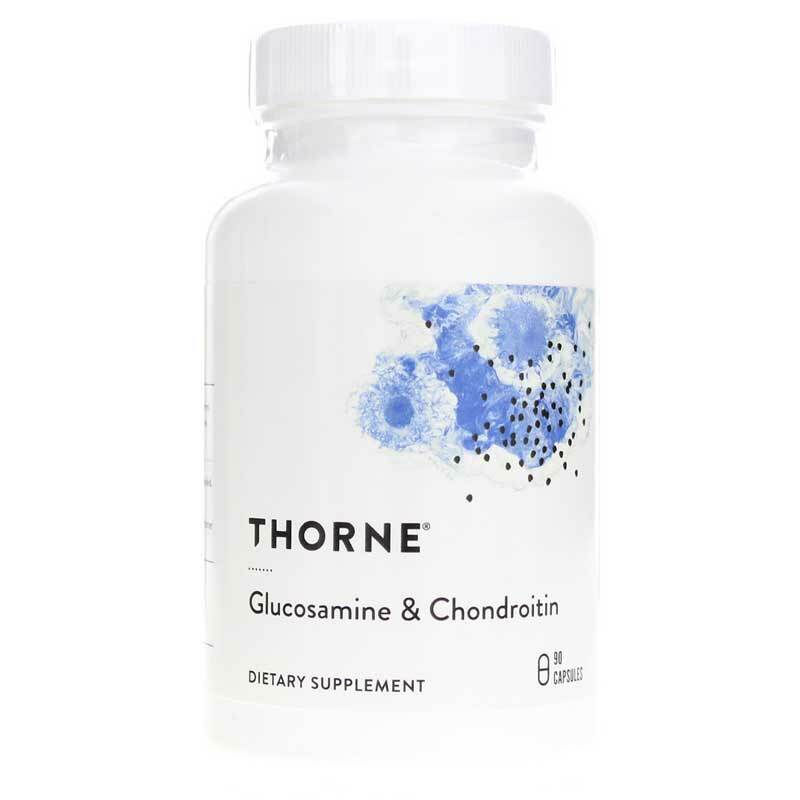 Give your joints the nutrients they need for less pain and more enjoyment with Glucosamine & Chondroitin by Thorne Research. 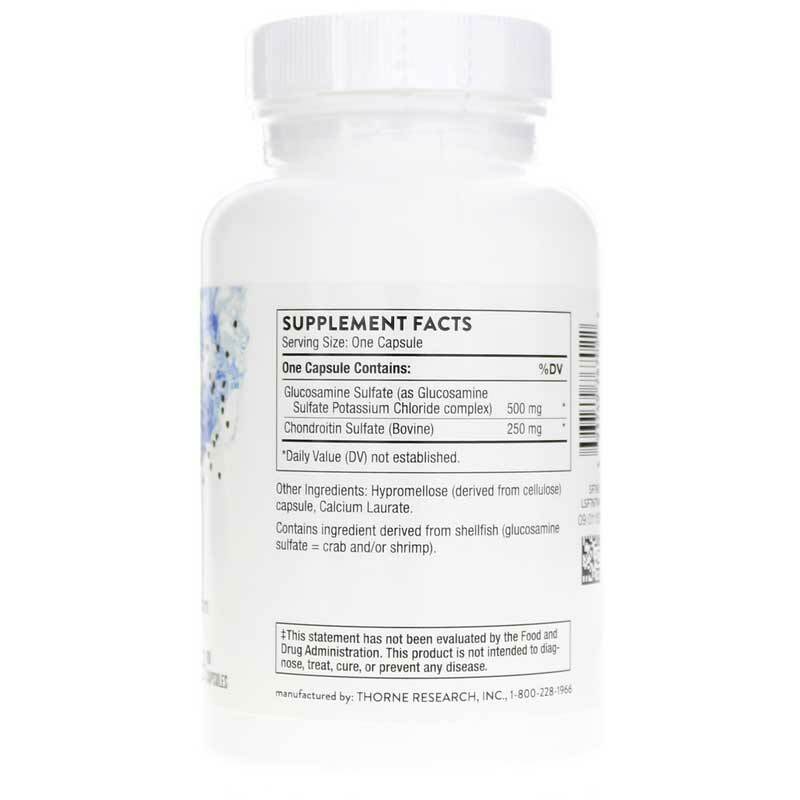 Glucosamine & Chondroitin is a natural joint support supplement featuring the two main components of the structural matrix of joints - glucosamine and chondroitin. Together, these compounds can help maintain healthy joint function and mobility to keep you active and enjoying life. Chondroitin sulfates are a category of glycosaminoglycans (GAGs) and are needed for the formation of healthy joint cartilage. Glucosamine and chondroitin may help promote the body's production of GAGs for strong cartilage, while also protecting them from degradation. Working together, these key nutrients may provide better support and protection than glucosamine alone, giving you better results for less discomfort - and less time sitting on the sidelines. 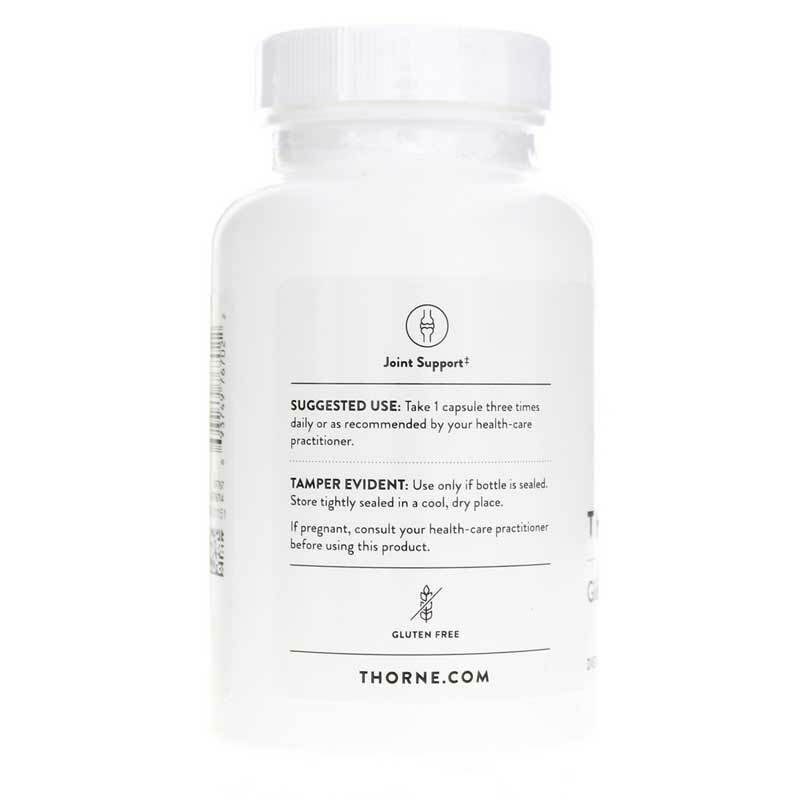 Take two steps in one for joint health with the combined power of glucosamine and chondroitin. Order today! Contains ingredient derived from shellfish (glucosamine sulfate - crab and/or shrimp). Contains NO: gluten. NSF Certified for Sport. Adults: Take 1 capsule three times daily or as recommended by a health-care practitioner. Contains ingredient derived from shellfish. If you are pregnant or nursing, please consult your healthcare professional before using this product. Keep out of the reach of children.